Home » News » The Bees Keep Her finished and exhibited! 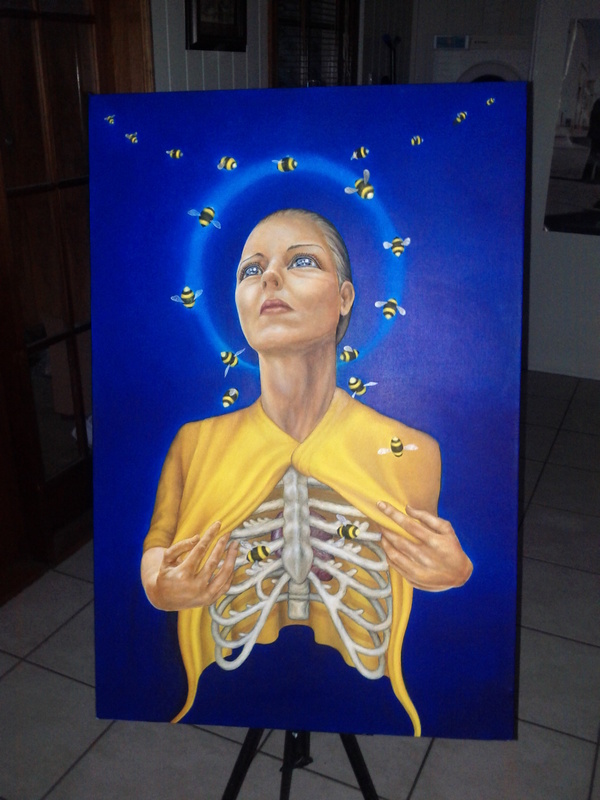 The Bees Keep Her finished and exhibited! She was finished and lacquered just in time!! After all of this excitement I must admit I’m ready to get back to some more speed drawing and impulse drawing. I do love that these paintings grow over months and months but we all need a quickie sometimes! So I’ll be sharing sketches, process shots, links to the other sites as they’re updated- and most importantly hoping to gain a little more feedback on my work and get to know a few more people. 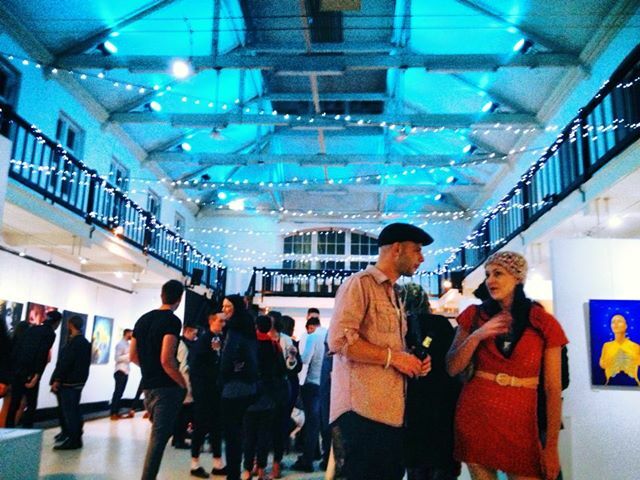 Heading the crowd: Jamie Yallope (exhibiting artist) and friend-the lovely Ange. 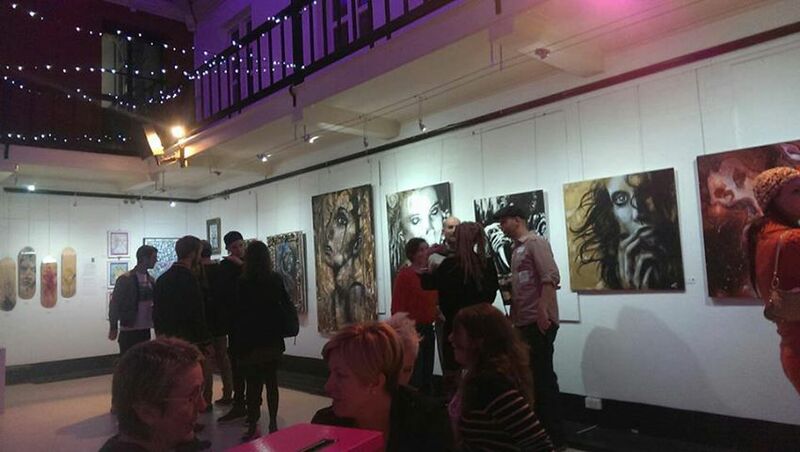 Artwork by Carla Benzie apart from the piece on the far right by Katie Lee Gretch. Skateboard decks by Hendrix Travis. Sik.